Xrobb L-Għaġin is the south-eastern most point of the Maltese Islands. 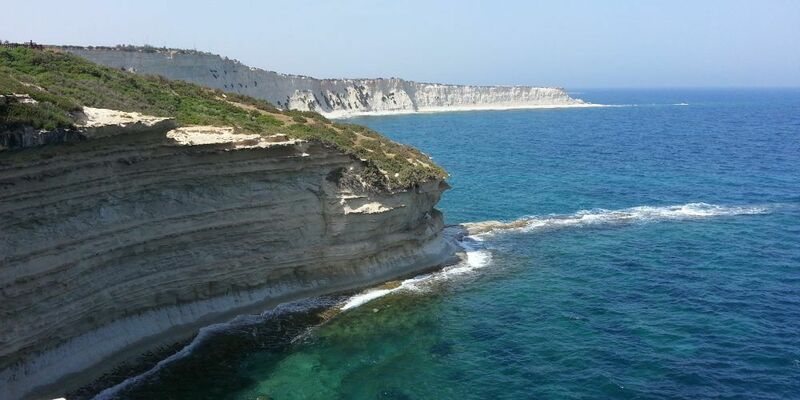 Xrobb L-Għagin is 1km2 peninsula, topped by a flat plateau, slightly tilted to the south-east, surrounded by low cliffs. 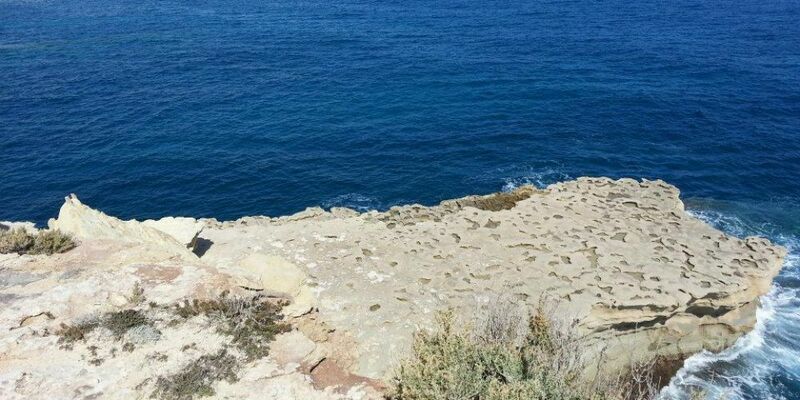 In geological terms, Xrobb L-Għaġin is part of a much larger promontory, including Ras il-Fenek, Delimara, Munxar, Taqtiegħa islet and the inlet bays within, all composed of the Upper and Middle Globigerina Limestone, which are softer than the globigerina commonly used to built houses. The softness contributes to the erosion on the land, in which, during rough weather, the coast is covered with bubbles, and the nearby sea becomes creamish in colour, due to the upwelling of the sediments from the bottom floor of the sea. This natural event gave rise to the name of the place, which is analogous to the process involved in boiling pasta. The water after the boiled pasta, also becomes turbid. In fact, pasta water is called ‘xrobb l-għaġin’ from Marsaxlokk and Marsaskala. Due to the unique geology, various yet unusual vegetational communties reside in the wild expanses of this park. The park has the best views of the Munxar Cliffs. Xrobb L-Għaġin is one of the few remaining natural places which has exposed Globigerina Limestone in the mainland. Such geology allows specific coastal vegetational communites to colonise. All of the vegetation on site has a higher degree of salt tolerance than equivalent inland habitats on the rest of the island. Generally the most dominant habitats in the park is steppe and garigue. Steppes are grasslands, while garigues involve communities of low-lying shrubs and geophytes (bulbous plants). There are two main types of steppes in the park; Andropogonid Steppe dominated by the Purple Hispid Beard Grass, and Graminoid Steppe covered by Esparto Grass, a species normally associated with clay slopes. Garigues in the park are more diverse, yet unlike those of inland garigues, they occur in isolated definite patches in a mono-culturous fashion, independant from each other like the steppe communities,especially in the southern half of the park which is all natural. 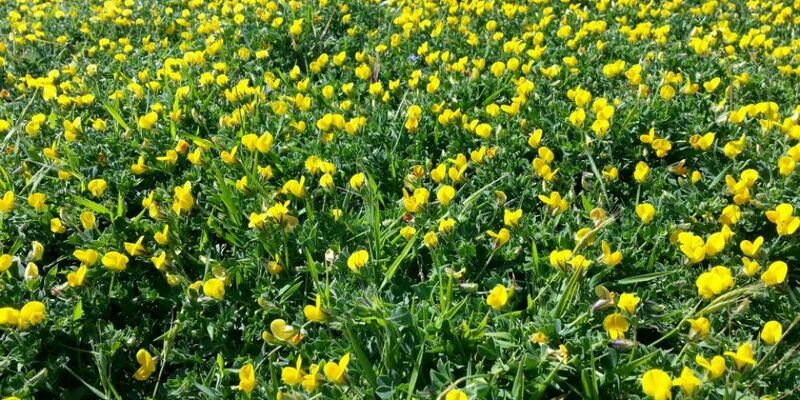 Dominant patches include those of the indigenous Silvery Ragwort, Olive-leaved Bindweed, Shrubby Seablite, Golden Samphire, and the endemic Maltese Salt-Tree. Pitch Clover and Clustered Sulla, respectively. Carpets of the Maltese Sea Chamomile fill the air with a sweet calming scent. The footpaths are also a spectacle, dominated by the hedghog version of a plant, the Spiny Chicory, and by odd species, such as the squashed Toothed Plantain and the tiny Barbary Nut Iris. Many more species make Xrobb L-Għaġin their home, making the site bloom all year round. With all the diverse vegetational communities covering the park, wild animals feel welcomed and ecouraged to colonise the park. Moreover, since the park is surrounde by a wall, both flora and fauna feel safe to live here. Insects and other arthropods are the most bountiful living diversity in the park. In the warm seasons, when flowers are at the peak, various butterflies takeover, such as the Maltese Swallowtail fluttering around the Fennel, the Clouded Yellow amongst the leguminous plants, the Cabbage White along the rockets, the Painted Lady gliding over the thistles, and the Red Admiral showing off on the Lantana shrubs. Tiger moths and Oak Eggars rest on the walls of the buildinga area the park. The rare Crimson Speckled Moth searches for halophytic shrubs, such as the Golden Samphire. As the days get warmer, footpath grasshoppers slither on the exposed soil and rock, mainly two species, the Blue-winged and the Red-banded Grasshoppers. Other common species reside, but rare migratory species are the main feature of the grass expanses at the park, such as the Migratory and Dessert Locusts. Arachnids, such as the dainty Harvestmen, stroll threw the spiny plants for easy pickings. More complex fauna also find the place a haven for them. Few reptiles occur here, such as the Black Western Whip-snake, the Occelated Skink, and the Maltese Wall Lizard, which is scarse here. Chameleons are seldom seen in the vicinity. Mammals such as the Wild Rabbit and Vagrant Hedgehogs are illusive creatures in the park. Marine mammals like the Bottle-nosed Dolphin, seem to be frequently observed, thriving on scraps from the fishing farms a few miles ashore. The most diverse community of complex fauna are the migratory birds. A lot of species of birds that visit the park are typical to open expanses, such as the Hoopoe, Turtle Doves, Quails, Larks, Wagtails, Redstarts, Wheateaters etc. Those that like to perch on the tall trees are the Flycathers, Tree Sparrows and Robins, while those that like the shrubs, include a great variety of warblers, like the Ziting Cistocola, Wood Warbler and Sardinian Warbler. The Sardinian warbler is a residentail species which is able to breed, make its nests in the Mediterranean Buckthorn buses in the park. The park may look deserted at first glance, but when one can stay still somewhere sit and quiet, one can notice such creatures evetually passing by.